November 1 Early decision deadline. Applicants who have three or fewer outstanding prerequisites may apply by the early decision deadline. February 1 Priority deadline for applications. You must apply by this deadline to be eligible for at-entrance scholarships. Apply online. April 15 Bastyr University Financial Aid priority deadline. July - August (summer quarter) Admitted ND students who have completed all the prerequisites may start the program early and pull down selected courses to lighten their fall quarter course load. Mid-September Orientation and start of academic year for new naturopathic medicine students. October 1: Application available online. Apply online. February 1: Priority deadline for Kenmore campus applicants. You must apply by this deadline to be eligible for at-entrance scholarships. March to mid-April: Complete applications are reviewed after all materials have been received and you have three or fewer prerequisites remaining. April 15: Bastyr University Financial Aid priority deadline. 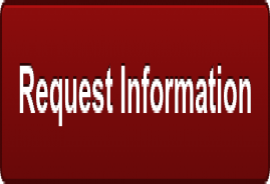 Download forms from the Financial Aid page. 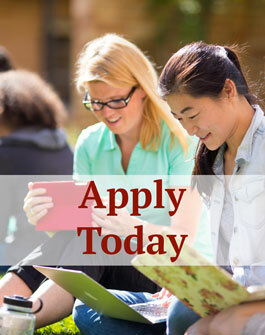 Priority deadline for San Diego campus applicants. You must apply by this deadline to be eligible for at-entrance scholarships. Mid-July: Eight-week summer quarter begins. Late September: Orientation and start of the academic year. February 1: Priority deadline for applications. You must apply by this deadline to be eligible for at-entrance scholarships. Apply online. Late February: Applicants are notified of their status. Admissions Days and interviews are scheduled. March and April: Admissions Days and interviews are conducted. Late April or early May: Decision letters are mailed. August: An online orientation course begins. Mid-September: Your first onsite session occurs. September 1: Application available online. January 2: Priority deadline for applications. You must apply by this deadline to be eligible for at-entrance scholarships. Apply online. July 8: Orientation and start of the first summer term. The Post-Baccalaureate Preparatory Program (post-bacc) allows students missing a significant number of prerequisites to complete coursework in preparation for a Master of Science in Nutrition program at Bastyr University. Admission into the post-bacc does not guarantee admission into the master’s program. Obtain a bachelor’s degree from a regionally accredited institution that includes these courses: college algebra, introductory biology with lab, and science-major level general chemistry 1 & 2 with labs. March 15: Priority deadline for applications. You must apply by this deadline to be eligible for at-entrance scholarships. Apply online. Late September: Begin fall quarter in the post-bacc program. February 1: Apply directly to the master of science in nutrition program of your choice. Follow the standard master of science in nutrition application process, with the exception of the submission of official transcripts. April: Begin spring quarter. Your Master of Science in Nutrition application is reviewed. If admitted, you will begin the degree program. All prerequisite courses must be completed before fall quarter. The undergraduate degree timeline includes: all undergraduate nutrition degrees; Health Psychology; Health Psychology & Human Biology; Herbal Sciences; Exercise Science & Wellness; and Integrated Human Biology. April 15: Bastyr University financial aid priority deadline.Forms can be downloaded on the Financial Aid website. Awards will be processed after FAFSA and Bastyr University forms are completed and you are admitted. FAFSA Priority filing date.Complete FAFSA at fafsa.ed.gov, using the Bastyr University Federal Code Number: #016059. May 1: Bastyr University Student Village housing priority date.Applications can be found at the housing page. Mid July: Eight-week summer quarter begins. Orientation and start of the academic year for undergraduate students. October 1: Application available online. January-March: Complete applications are reviewed and interviews are scheduled. March 15: Priority deadline for applications. You must apply by this deadline to be eligible for at-entrance scholarships. After this date applications are still accepted, but on a space-available basis only. Apply online. April 15: Bastyr University Financial Aid Priority Deadline. Late September: Orientation and start of academic year for acupuncture and Oriental medicine students. Mid-September: Orientation and start of the first fall term.